With smaller needles and Homespun, CO 20 sts. Knit every row for 8 rows, inc 1 st at end of each row. 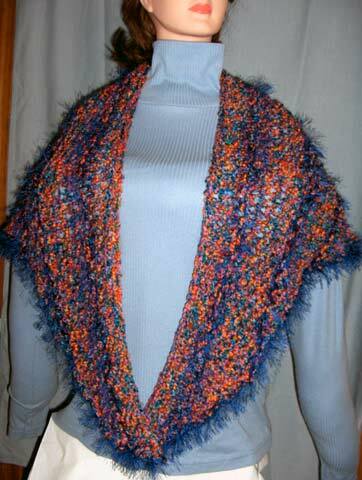 With one strand of Homespun and Fun Fur held together, knit two rows and cont to inc.
Cont in this manner twice more and you have 3 bands of Fun Fur. Cont in this manner but inc 1 st at both ends of every row. When you run out of Homespun, BO loosely with larger needles. 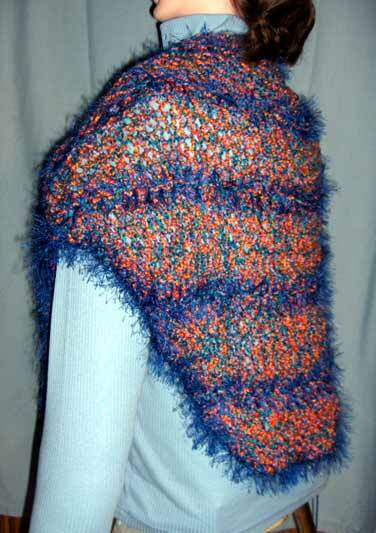 Work a round of sc around entire shawl with Fun Fur. 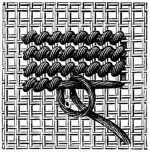 Weave in ends on WS. Discover thousands of free patterns to download. You’ll find free patterns for crochet, knitting, sewing, quilting, cross-stitch, plastic canvas, beading and more!